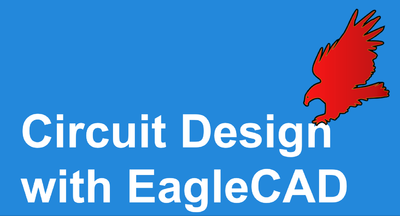 This workshop, taught by Electrical Engineer, Jeremy Blum, will focus on using the popular Eagle CAD schematic capture and PCB design tool to design a custom-printed circuit board (PCB) from scratch. Participants will learn how to create a schematic for their design, import part libraries, generate a layout, route traces, and export a PCB design. At the end of the class, participants will optionally be able to send their designs to a batch PCB fabricator so they can be manufactured (for a few dollars per board). Electronics experience is helpful but not required - all are welcome! 2 When/Where is the class? 3 What do I need to do to prepare? What should I bring? 4 How much does this class cost? 5 How can I get more information? This workshop will be similar to an Eagle Workshop that I taught at HOPE-X in NYC. If you'd like to get an idea of the content, you can check out the slides from that course here. People seemed to like it, so I'm doing it again in San Francisco! The slides for this course will likely be slightly updated from those, and I'll share a link to the newest version as soon as it's ready. The workshop will take place at the Church classroom in the Noisebridge Hackerspace on Sunday, August 10 at 10:30 AM. I expect the class to last for about 2 hours. The address is: 2169 Mission St.
What do I need to do to prepare? What should I bring? Bring a laptop running Windows, Linux, or Mac. Please install EagleCAD before-hand to save time. You download it for free here. You do not need to have any electronics or PCB design knowledge prior to this class. However, having a bit of electronics knowlege (ohm's law, etc) will speed things up. The class will be taught in english. Please contact me. My information is available by clicking here. This page was last modified on 2 August 2016, at 01:37.